GrahamB wrote: Then explain Judo. Once the shackles of the Tokugawa were off these self same 20th century businessmen, professors accountants, dentists had no problem being effective by using judo, which reintroduced free sparring. There's nothing wrong with the techniques found in Koryu at all, it's the way you train something that makes it effective or not. Judo proved that. The history of Kendo includes an unbroken line of 'alive training' methods. The introduction of Shinai and Bogu was around the early to mid 1700's. And they were in consistant use since that time. The most clear example of Full contact training being the introduction of "Gekiken" to the Hokkushin Itto Ryu in 1820 before the fall of the Tokugawa Shogunate with no persicution. If anything i would have thought the Tokugawa would have not wanted aliveness training in Kenjutsu to continue. Letting people scrap it out with their hands is one thing, people getting a good grounding in Sword techniques is quite another! Is there any evidence of them suppressing aliveness training in anything other than the thought that Judo's success was down to this? Its also important to emember, that the early Judo 'team' was made up of 'ringers'. Fighters from different styles of JuJutsu who were used in demonstrations and challange matches to popularise Judo in its very early years. These werent 'Judo Guys' in the main but still could fight in non-cooperative bouts and win. They joined Kano due to his influence and vision. Once Judo found favour with the upper classes, the lower classes realised they had access and followed suit where previously they would not have had much access to Budo. As with everything historical, its not as clear cut as we may think. Last edited by middleway on Tue Jan 15, 2019 3:00 am, edited 3 times in total. I don't know anything about Kendo Chris, however, you could also look at the introduction of bamboo swords and the removal of real ones as part of the control process that the Tokugawa loved so much - restraining, keeping in check. And if people wanted to start hitting each other hard with bamboo swords in 1820 then maybe they didn't see that sport-like activity as a threat? I don't know. There are always exceptions for everything, but I think the overarching theme of Tokugawa suppression of society during its reign is correct. The introduction of bamboo swords was alongside existing practices with Bokken and of course real steal. It was not enforced by the Tokugawa as a replacement for other practices. I agree with societal suppression, but the suppression of 'aliveness' training in the martial arts? I think thats an unfounded stretch when we look at the whole picture. Regardless, all fun to think about i guess. Last edited by middleway on Tue Jan 15, 2019 4:03 am, edited 1 time in total. Chris - 'aliveness' was my word in the article, and probably comes with cultural associations and assumptions that Damon didn't mean. My bad. In the podcast Damon talked about the 'stilted' look of Japanese martial arts - that was what he said more accurately. I don't know who these guys are or what style - I don't think it matters - but I think it's fair to say a lot of stuff is like this. Why? The Tokugawa suppression theory explains why. Last edited by GrahamB on Tue Jan 15, 2019 4:21 am, edited 1 time in total. Another reason could be that this was for 'public consumpiton'. It was the fashion to act in this 'stiffled' way, look at the tea ceremony or Noh. IMO this sort of stiffled display was more to do with 'fashion' than Tokugawa suppression. As we can see there could be many reasons for how things look. Damon mentions the judo kata in one of the podcasts. The ones they're kind of embarrassed about and nobody practices anymore. And if that's fashion, I want my money back. Last edited by GrahamB on Tue Jan 15, 2019 4:47 am, edited 1 time in total. I say as graham says - I don’t know - I imagine - I’m not an historian. So I imagine that back in the battlefield heydays of Japan the broader/soldiers practice with the sword was somewhat as ‘stilted’ one attacks other defends and vice versa, then the aliveness “sparring” they got on the battlefields. That’s what I guess. I'll try and get Damon to respond to your post. It's all good, Graham. I was getting grumpy last night as it was past my bedtime. Sorry for that. So, all the stuff you are saying is stuff that was widely accepted from Postwar until around the 80s. There have been a lot of advancements made since then in terms of what things were actually like as opposed to what elite thinkers wrote down. For example, I would certainly argue that Tokugawa authority eroded consistently even before the Genroku period (late Seventeenth Cen)--the opposite of what you mentioned. I will certainly admit, the argument over Han vs Baku authority still rages at the highest levels of discourse. There is a great article on the Bakufu side of things by Ronald Toby called "Saving the Nation." In it, he assails the arguments for regional autonomy presented by Mark Ravina and Luke Roberts. They all have important points, and I suggest that the truth lies in the middle, and that this middle was a moving target across the span of the Edo period. Many textbooks and undergraduate courses still teach that the four class system and a rigid system of controls was the lived experience in Edo Japan. It's just not so. I'm in the process of rewriting a paper refuting the four estates in Early Modern Japan I wrote for a seminar during my first MA and my major project has the nice side effect of refuting Neo-Confucianism as the central ideology of the early bakufu. Likewise, the notion of closed county (sakoku) has been handly debunked by Toby in State and Diplomacy in Early Modern Japan. We just need to keep working at taking down the bad bricks one at a time. Last edited by Ian C. Kuzushi on Tue Jan 15, 2019 11:45 am, edited 1 time in total. It's no surprise that cutting-edge academic debates on Japanese history 400 years ago are beyond my ken. I'll bow out of that! Toby's book looks comprehensive, but let's be honest, I'm never going to read it - lol. I had a quick look at an extract - and I'm not sure what revelations it contains but it seems from the extract to support the idea that the country closed down trade with the outside world (apart from that one small port the Dutch had), which doesn't mean of course that it stopped paying attention to what was going on and remained sensitive to it for security reasons. His book clearly demonstrates that overall international trade during the Edo period actually increased. It's just that they strengthened their long-standing ties with the continent rather than allowing themselves to be plundered like the rest of Asia (sans select parts of SE Asia), ie: yes, they heavily restricted trade with the West. But, that trade was never on a massive scale anyway. At any rate, international trade was certainly something that was mostly controlled by the bakufu. So was marriage between lords, castle building, and forced attendance of hostages. Many other aspects were out of bakufu hands. Of course, if things got dire enough, the bakufu could attainder domains, but this became quite rare early on. I do wonder if there were edicts proscribing certain schools as there were with kabuki. The bakufu themselves even had official fencing schools (much like they eventually came to endorse the Hayashi school of Neo-Confucianism). Interesting era. While the Togukawa regime might have stagnated their own county’s martial development others nations such as Britain had an era of internationally polishing their guns and sharpen the bayonetes to spread its empire. The British as an military powerhouse even eventually invaded Tibet from which the Dalai Lama with the help of the Russians had to move in to exile to Mongolia.....Maybe also the British invasions of China had an suppressing role of the martial arts there, the martial arts traditions that we on this forum have come to love and try to uphold and bring forth. Lots of European involvement in China obviously, not just British - the British were pretty much the main bad guys though opium wars, etc. For martial arts it seems to have come to a head in the Boxer Rebellion. 1901. 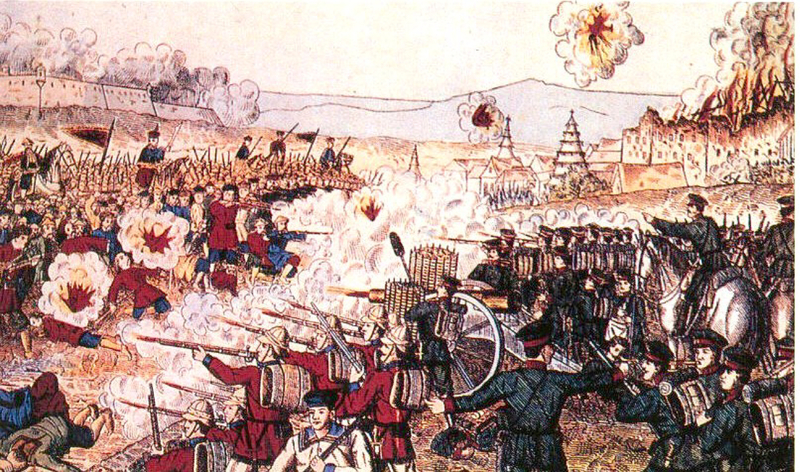 In particular the failure of the Boxer Rebellion inspired a move away from "superstitious beliefs" which eventually resulted in the Kou Shou movement. 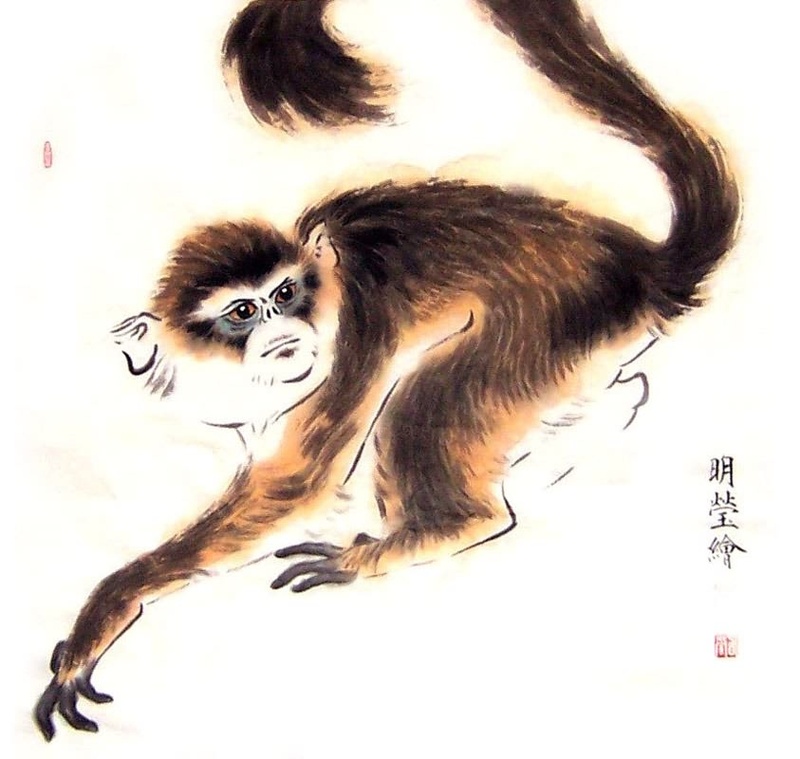 "It is easy for current practitioners of the Chinese hand combat systems to distance themselves from these issues precisely because reformers spent much of the 1910s-1940s systematically redefining, rationalizing and modernizing their (supposedly still traditional) practices precisely to insulate them from such accusations coming from modernizers within Chinese society. In practice that meant distancing these practices from their roots in rural society, “superstitious beliefs” and any association with opera. One suspects that it is not a coincidence that even dedicated historians find the subtle social relationships between the martial arts, opera and ritual practice difficult to reconstruct. Even more telling is how few people ask the question at all. Despite the almost subconscious habit of appending the term “traditional” to every written occurrence of the phrase “Chinese martial arts”, in practice most of us are comfortable reading a very modern view of these practices back through the centuries. " Today we tend to think of Kou Shou as the "traditional arts" that were sadly ruined by Wu Shu. The fact of the matter is that it was Kou Shou that started the process of absolutely ruining the traditional Chinese martial arts. Last edited by GrahamB on Wed Jan 16, 2019 5:25 am, edited 3 times in total. British and Japanese forces engage Boxers in battle.